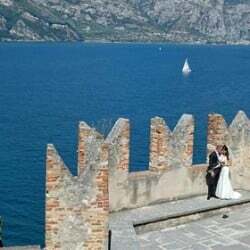 ne of the frequently asked question is Is it possible planning a Catholic ceremony on Lake Garda? 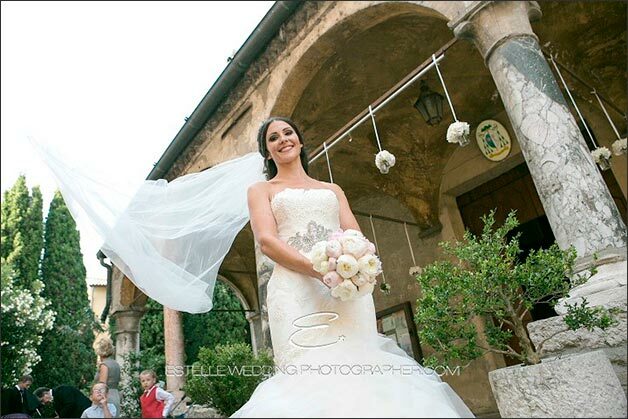 As wedding planner on Lake Garda I can say that, not only it is possible but it is simply beautiful! 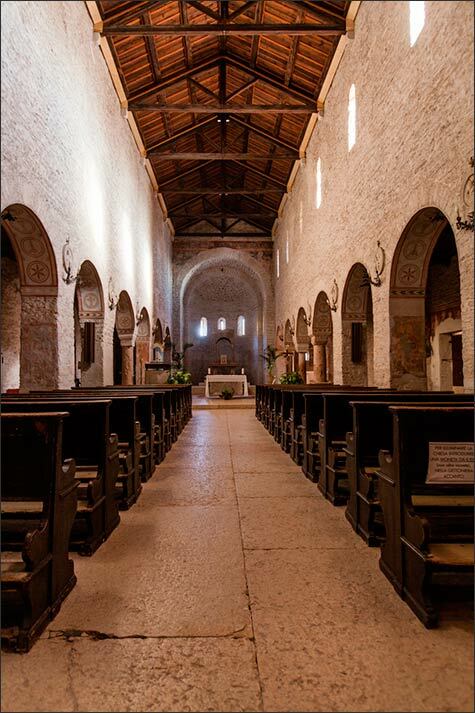 Churches on Lake Garda offer a unique atmosphere as they are set in traditional Italian villages. 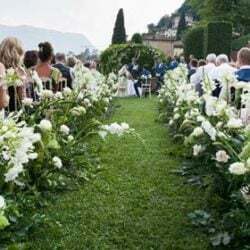 Many churches only allow resident marriages but we will offer here an overview of the churches where you can celebrate your Catholic ceremony on Lake Garda even if you are non-resident. 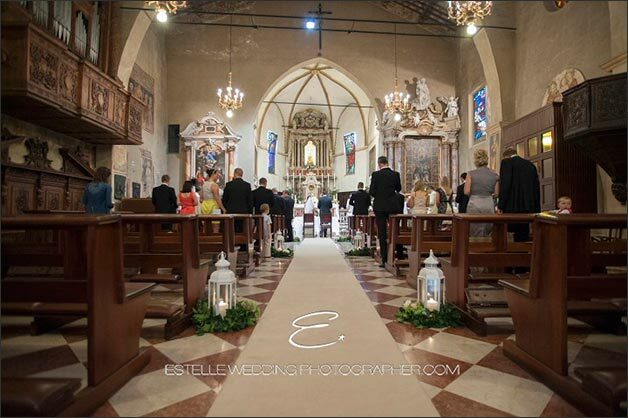 This surely one of the most enchanting church on Lake Garda. 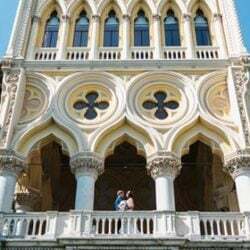 It has been built in 1400 and it has a wonderful portico with 5 naves. 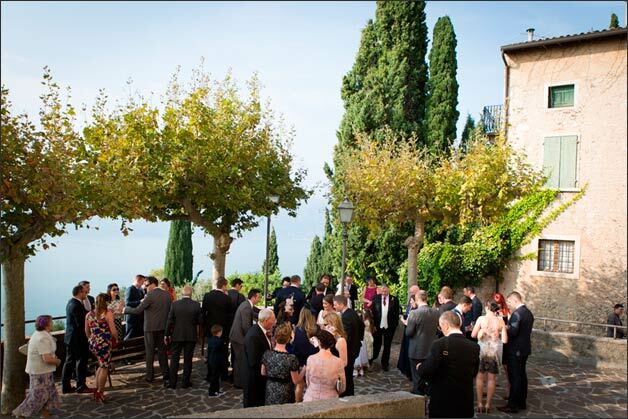 It front yard faces Lake Garda and its walls are part of medieval walls of Sirmione village itself. 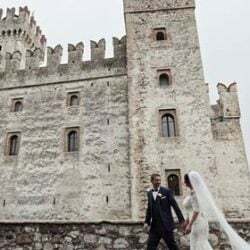 Santa Maria della Neve Church is located in the heart of Sirmione and after your Catholic ceremony you can plan a lovely walk along the roads of the medieval village for some stunning wedding photos by the lake. 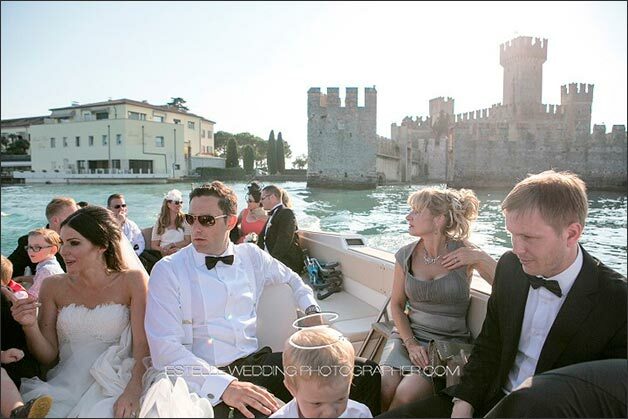 You cannot miss a boat tour around so called pearl-of-the-lake Sirmione to reach your reception venue. 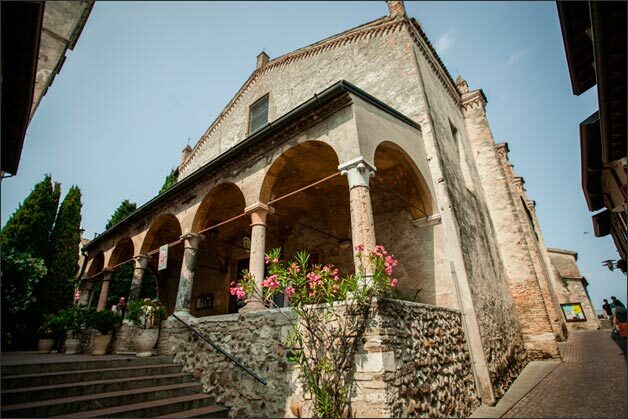 A villa on the shores, a traditional restaurant or even an ancient convent in the close by countryside. 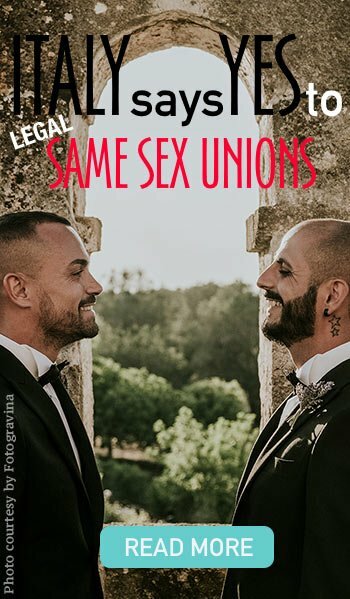 I will be happy to suggest the right choice for you! 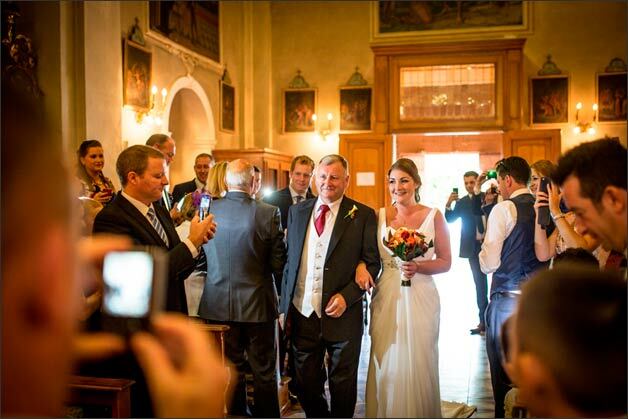 Photos by Estella Lanti and Morlotti Studio Venezia Udine. 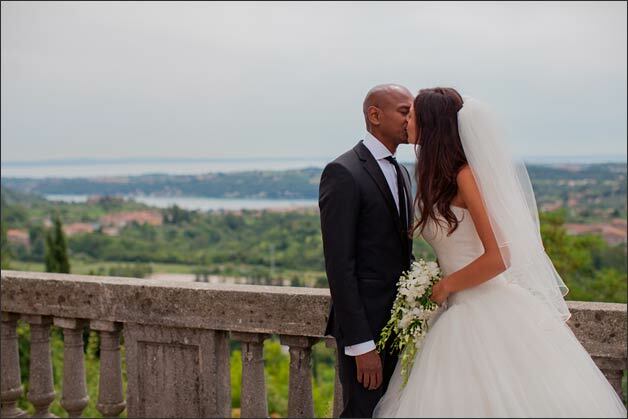 Salò and Gardone Riviera areas are famous for their lush gardens, villas and 1800 hotels and most of all for amazing Isola del Garda, a wide choice for your wedding reception… but what about the church to celebrate your Catholic ceremony? 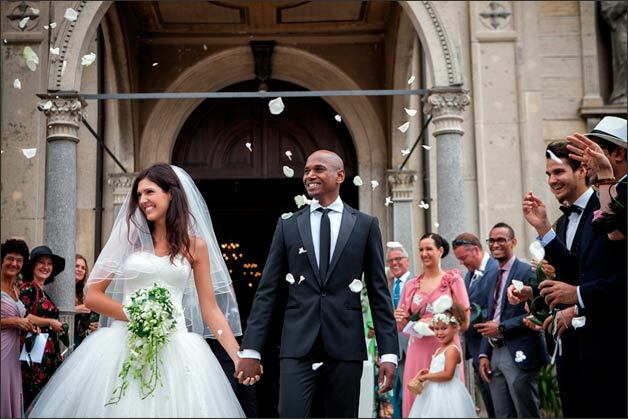 Many of them do not allow non-resident marriages but we have some solutions for you! Few minutes drive from the lake shores there are some country churches overlooking the lake that could be simply ideal. 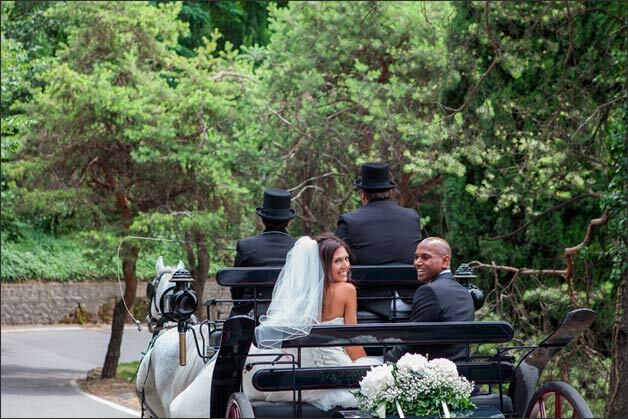 View is simply amazing and you could reach your venues by horse-carriage! 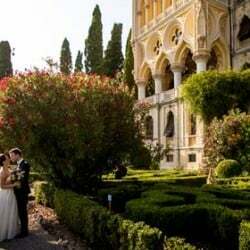 On East side of Lake Garda you can find medieval castle overlooking the lake. 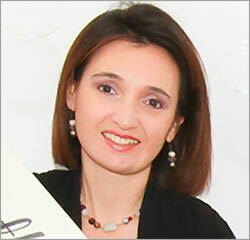 The most famous is Castle of Malcesine and Torri del Benaco. 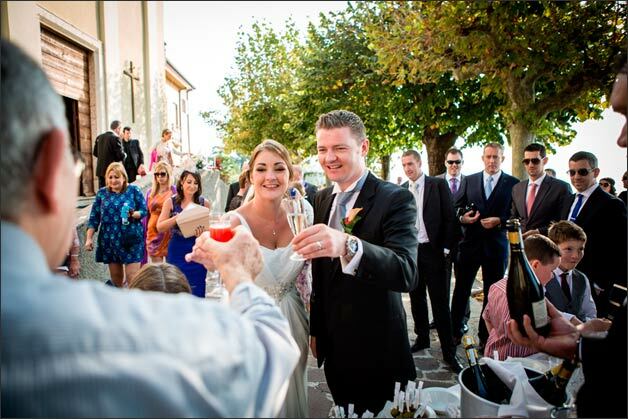 These villages both have a lovely port and their fishermen houses could be the perfect frame for your wedding in Italy. 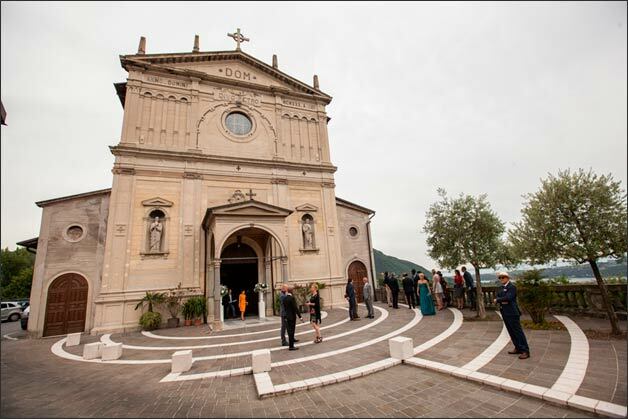 If you are looking for a church in these destination you will be amazed by San Martino church! 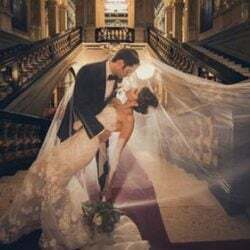 It is simply perfect, intimate and charming. 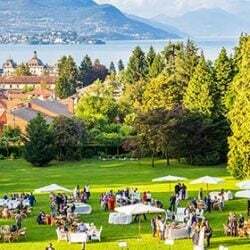 Front yard or the church is ideal for a nice aperitif following your Catholic ceremony overlooking the beauty of Lake Garda. 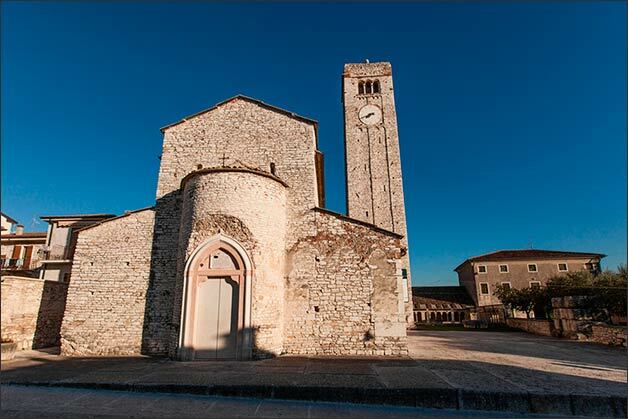 If you rather prefer Lake Garda shores just a little outside from the center of Bardolino village there is a lovely Romanic church located few steps from the shores. 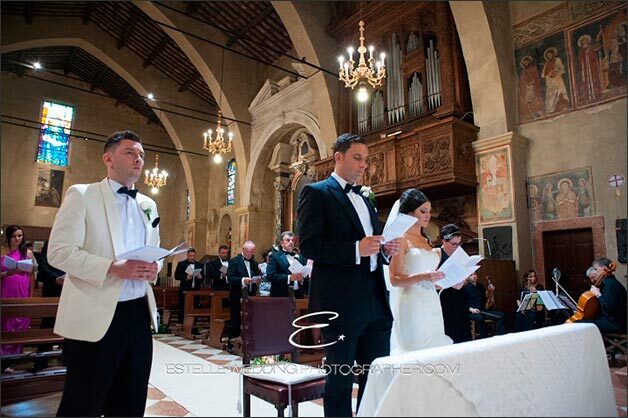 Church has an Italian and German speaking priest but we can provide an English speaking celebrant as well. 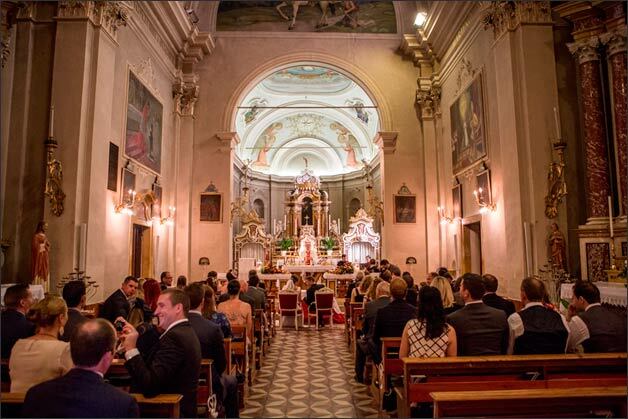 If you are looking for a country church San Giorgio church is the perfect choice. 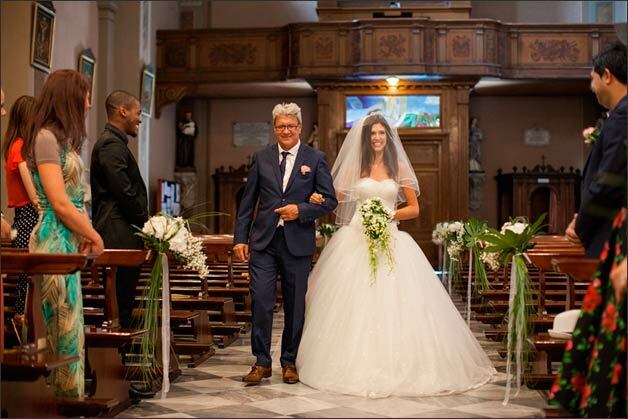 It is a Romantic church built back in 1200. 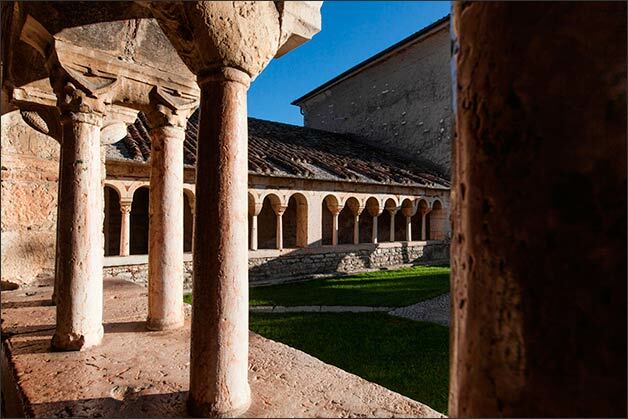 A medieval building that you will love. 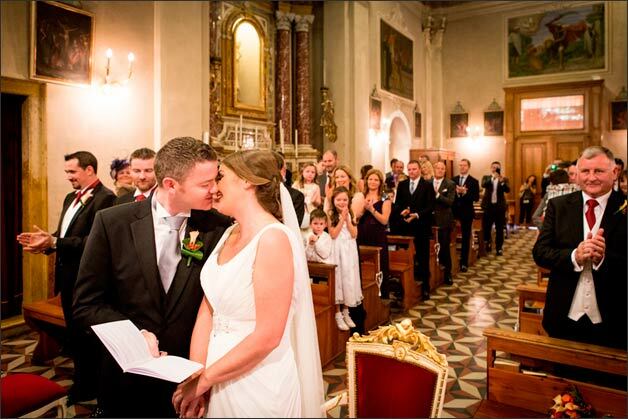 Frescoes, cloister, and its mystic atmosphere could be the prefect frame for your wedding ceremony. 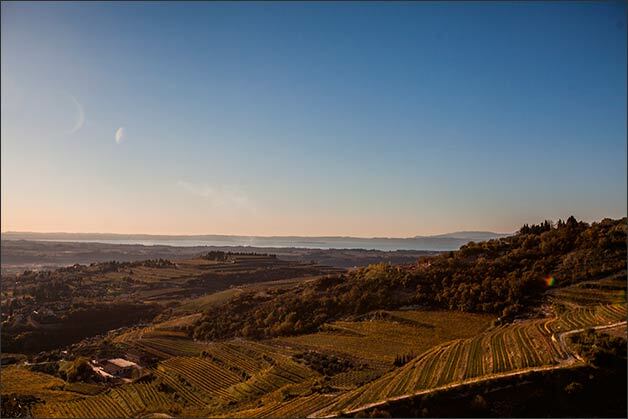 San Giorgio Church is located on a Valpolicella vines hill. 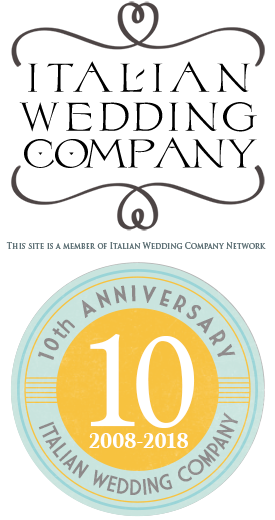 The area is famous for its wonderful wines and Prosecco production! 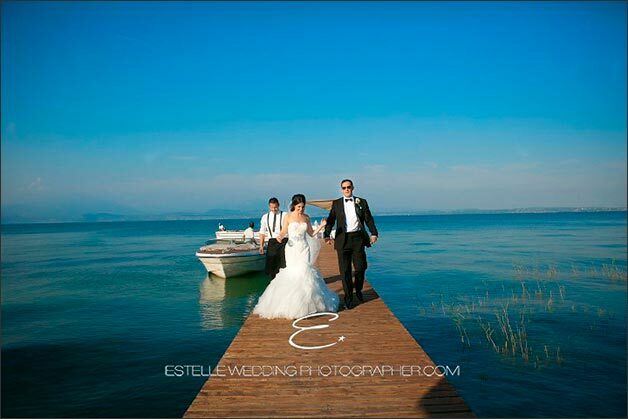 Your reception can be planned in one of the villas close by or by the shores of the Lake. 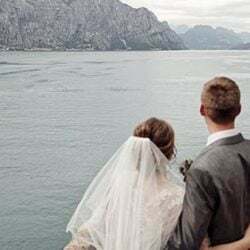 If you are keen for a Catholic ceremony on Lake Garda we can provide an English or German speaking priest that can conduct the ceremony for you. 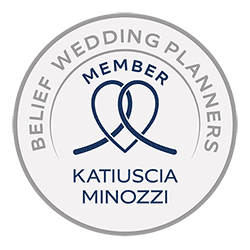 In case you would love to bring with you your own celebrant this can be done too to make your ceremony even more personal and emotional.